The Washington DC offices of both Chandler Chicco Companies and Ruder Finn have new leadership. WASHINGTON: The Washington DC offices of both Chandler Chicco Companies and Ruder Finn have new leadership. 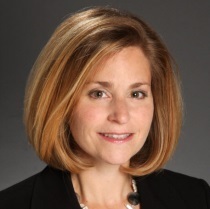 Heather Gartman has been named MD of Chandler Chicco's Washington office. She is reporting to Lisa Stockman, founding member and MD of Chandler Chicco Companies. Gartman joined the healthcare specialist firm from Ruder Finn, where she opened and oversaw the DC office and focused on new business development and strategic oversight for many of the firm's healthcare brands. Prior to Ruder Finn, she was MD and head of healthcare at Zeno Group in DC for seven years. Stockman said that Gartman's experience in both public- and private-sector healthcare made her an ideal fit for the position. “She has been in the area for 22 years, so this is great because she knows the Beltway,” Stockman said. Gartman's predecessor, Al Jackson, left the company earlier this year. He implied that not having the ability to directly correspond with stakeholders on Capitol Hill played a part in his decision to join O'Neill and Associates as SVP and head of its healthcare practice. Allison May Rosen took over on an acting basis after Jackson's departure, but was not interested in the job full-time, Stockman explained. “It wasn't her desire to run the DC office; it's not her sweet spot,” Stockman said. Gartman differs from others who have run Chandler's DC office in that she has a strong pharmaceutical background and plans to pursue more of that work in her new post. The agency could seek projects that are policy-related, covering how the Affordable Care Act is affecting pharma, or consumer-facing, similar to the work she did on a diabetes product co-produced by AstraZeneca and Bristol-Myers Squibb while at Ruder Finn, she said. Gartman decided to leave Ruder Finn because she “was looking for an organization that had more resources in healthcare,” Gartman added. Tori Fort, who has worked at Ruder Finn for the last two years, most recently as VP, is now serving as SVP and director of the firm's DC healthcare practice. She also runs the office as a whole. Fort told PRWeek that she is excited about her new post and looks forward to continuing to expand Ruder Finn's presence in the DC market.